I live by routines and building good habits, it helps kick my procrastination habits aside as well as focus on what needs to be done. It hasn't been easy after years of not having a proper routine in my life. I always thought I was living my life the way I see fit, and after my daily Islamic routines, *praying & reading Quran, everything was okay. But after years of procrastination, crying, unfulfilled dreams, anger, boredom, jobs, yearning, not getting enough done, tired all the time. You are getting my point yes? I have finally come to the realization that what helped me get things done, and kept me on the path that I needed for my personal & work life was routine & building good habits. Now it is one of the main parts of my life that I work hard to keep. I need the routine to get things done during the day and keep in consent check with my goals in life. To get my routine back on track I started with my morning routine. I try to follow the Productive Muslim morning routine check it out here *note I don't do everything on the list, but as much as I can. Let me tell you I LOVE the Productive Muslim website, signing up to their newsletter was one of the best things I have done. I love it so much that I introduced my older sister to the website, who has now ordered The Productive Muslim book, which you can find here. When I get the chance to read the book, I will let you know what I think. I was first introduced to the website through the Siratt life book which you can find here. 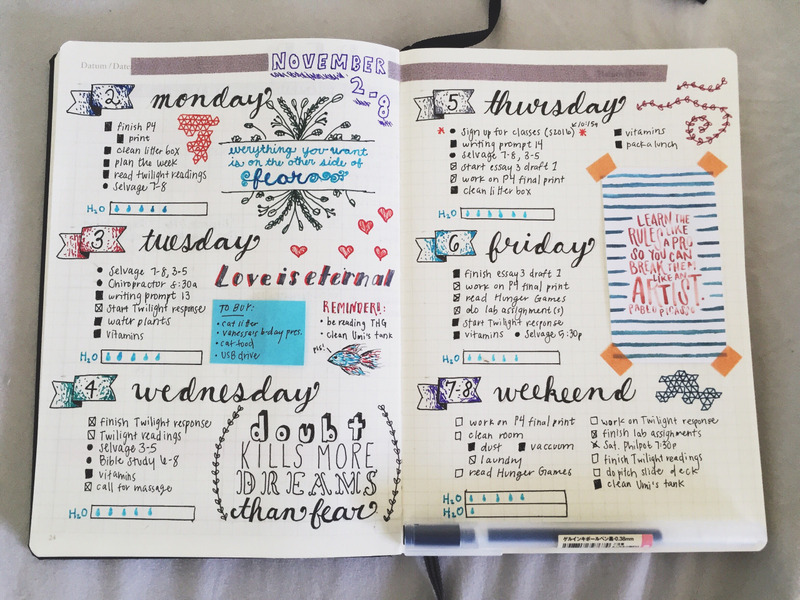 I used their diary/planner for two years, and I really liked it. But only changed because there was not enough writing space for each day. My favourite sections of the planner were the weekly hadith and Did you know? at the top of the double pages. The planner also helped me get in sync with both the Hijri calendar and the Gregorian calendar. *before you start thinking that I don't know the Islamic months I do, it was just not foremost when it came to dates in my life. 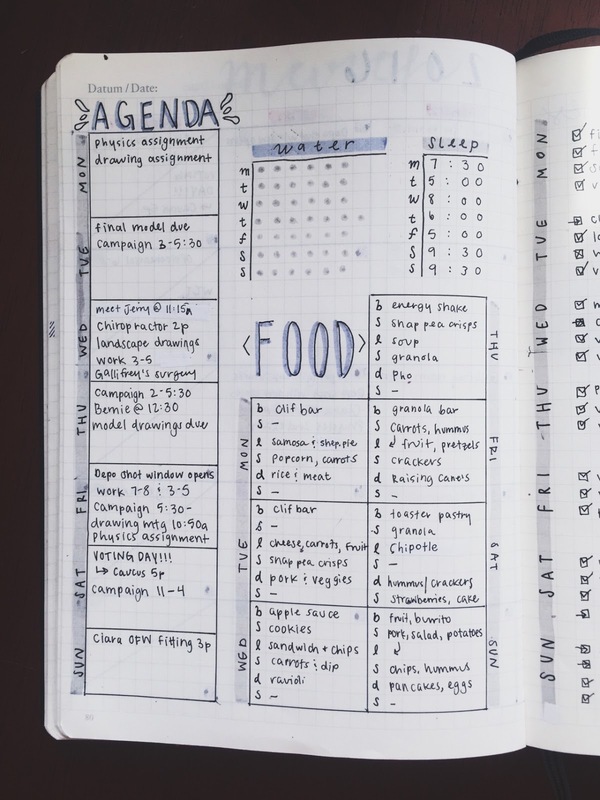 There is no right way or wrong way of bullet journal. It is your own personal journal that you write and plan how it suits you. I can write down all the routines that I need to keep track of. 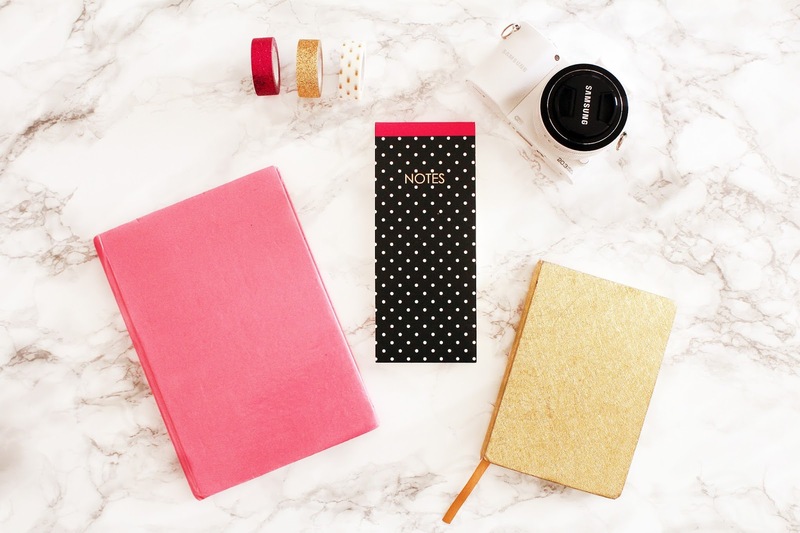 After I decided to make my own journal, I had the page space I need and allowed me to organize my diary, to do list, my projects, food, goals, health, travel. The best part? I get to design it all, everything from the book to colours and page layouts. 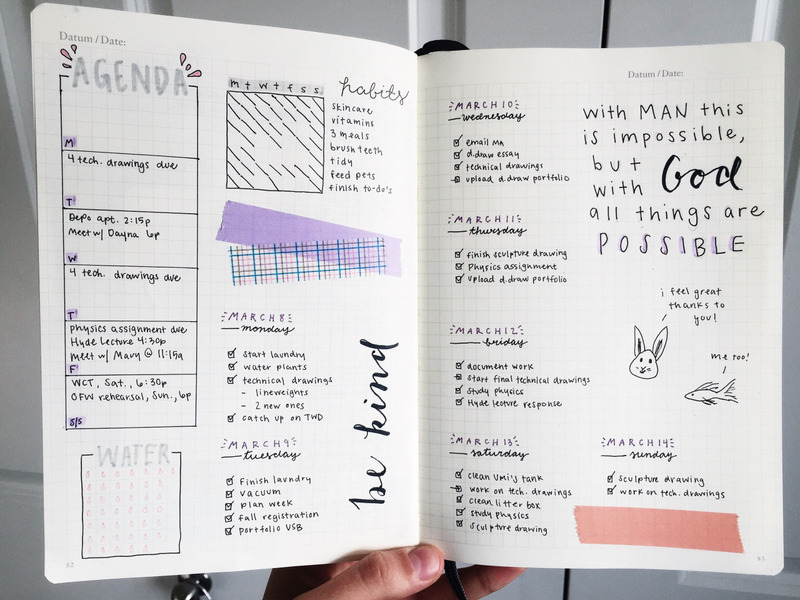 How did I lay out my journal? I have kept mine simple, as I only started my journal at the end of November 2015. I started off with my personal five-year plan, and then my one year plan. Both lists have not been completed but contain what I need to focus on achieving. I then have my daily activity list, that I check off, and extra activities that I need to be completed on certain days. 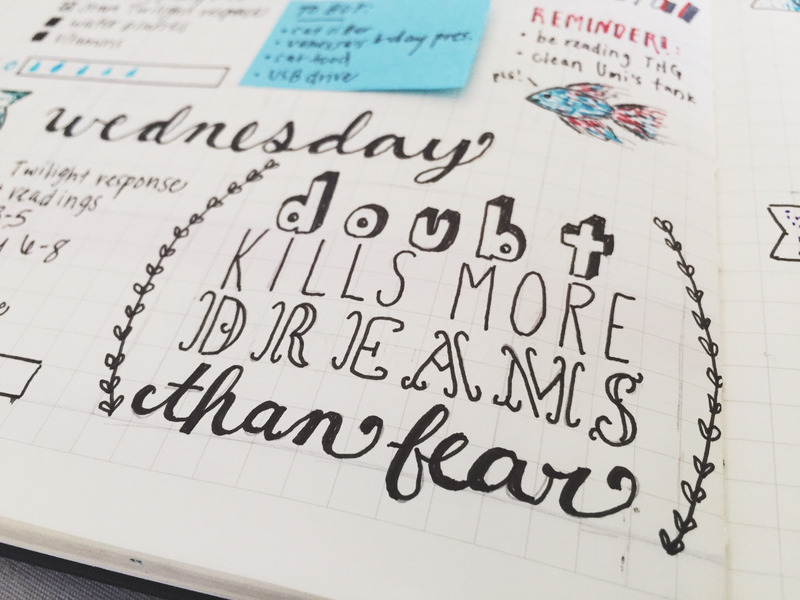 I also add work, meetings, food, health and personal log. 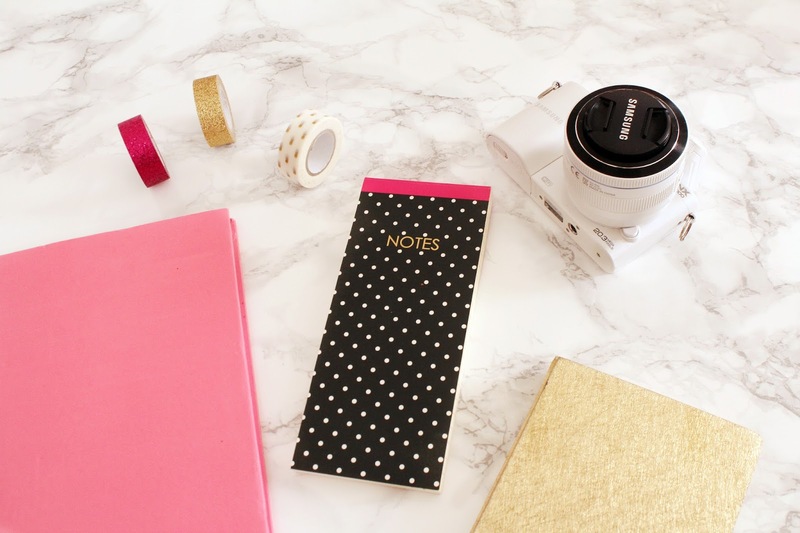 I use polka dot, glitter gold, and pink tape to make the pages look pretty. I also use a notepad to take notes or lists then stick to my journal when needed.